Growing, like cooking, is such a grounding activity. The newsfeeds this week filled our laptops and phones with constant information about the dire state of the world, and it’s easy amidst this barrage to lose one’s steadiness. As the days suddenly grow shorter, so the world seems to grow darker (metaphorically and literally: sunset at 4.08pm now). But there is always the promise of longer days and of light to come. There is a lovely quote attributed to Mother Teresa that reads, ‘In this world we can not always do great things, but we can do small things with great love’. As individuals we might feel powerless but we can at least do our best, according to our own means, to spread a little kindness in our world. Ten years of yoga practice has taught me the importance of at least attempting to keep my equilibrium. And so, when the sun shone this afternoon for what must be the first time in weeks, I seized the opportunity to get out and top up my Vitamin D levels. 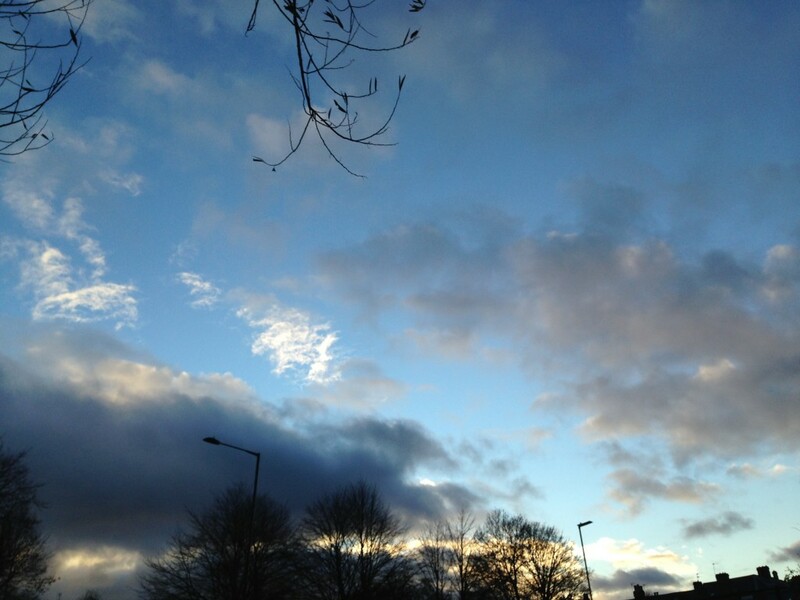 The skies have slid into a washed out, wintery blue. Oh allotment, I have abandoned ye! The grass that I meant to strim a month ago is now shaggy and long, but still too wet to get near. There are darned weeds growing everywhere (three trug-fulls today), we’ve yet to actually have that bonfire, and everywhere there is the sense that life has slooooooowed right dooooooown, ready for the cold months. Unusually energised, I dug over the old raspberry patch – this is the one that’s been under black matting since early spring. I think this ground has not been broken for the best part of 15 years and consequently was full of stones, roots and twigs. Some of the raspberry roots eluded me; someone with greater upper body strength than I will need to get rid of them (Matt, please take the hint). 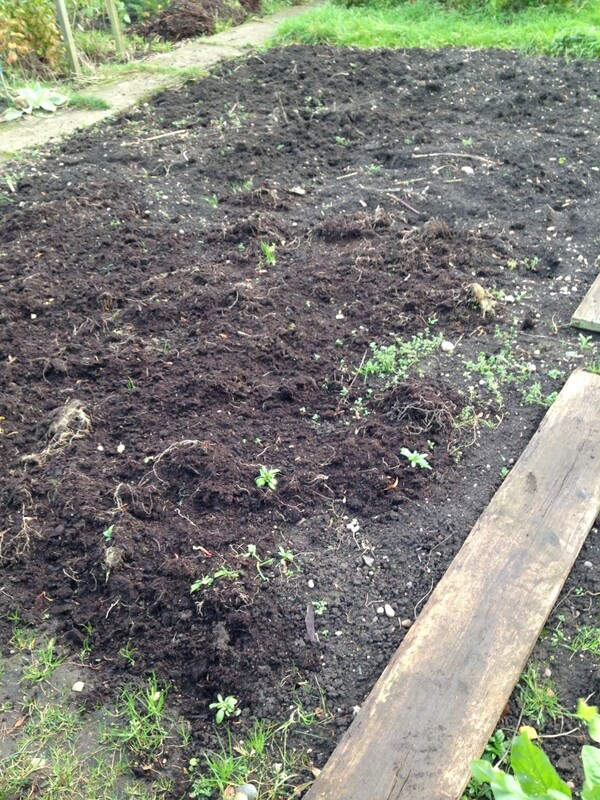 With this ground reclaimed I have a good few extra metres of space to grow pretty flowers in the spring. Hurray! 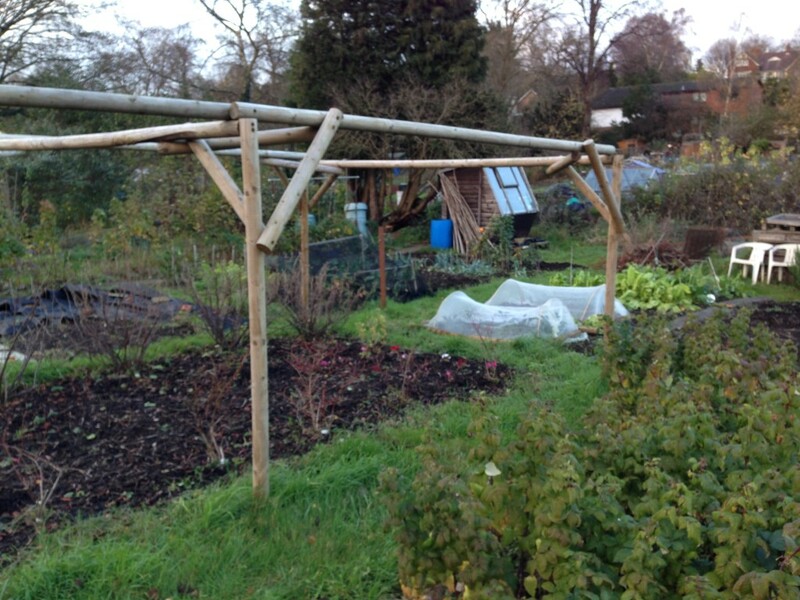 The bean poles finally got taken up and the worst of the grassy weeds taken out of the beds. All the ground needs manuring now before settling down for a winter kip. 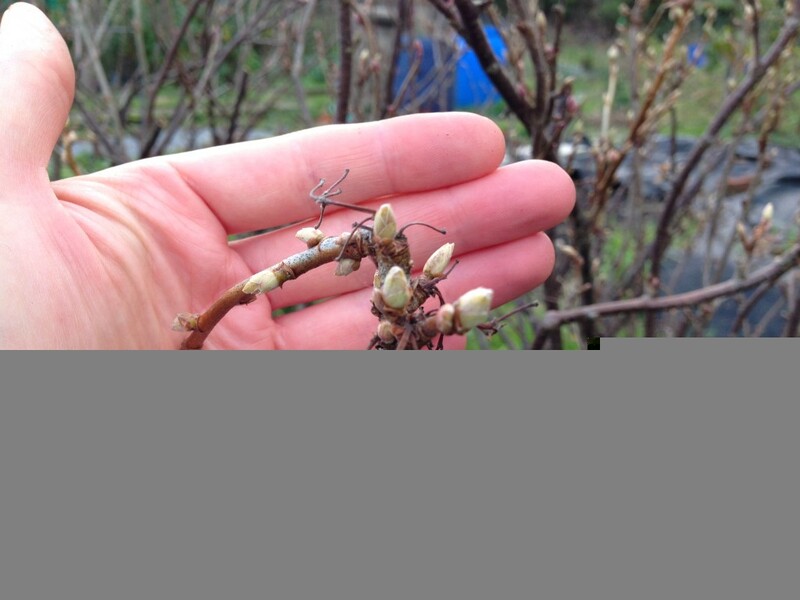 The blackcurrant may be dormant but it’s gone down fighting: its buds are clear to see, showing the intent to resurrect itself come April. And those greens – amazingly, the chard, spinach and sorrel are still crisp, croppable, thriving. The allotments have all faded into subdued shades of brown, with the occasional shot of colour. 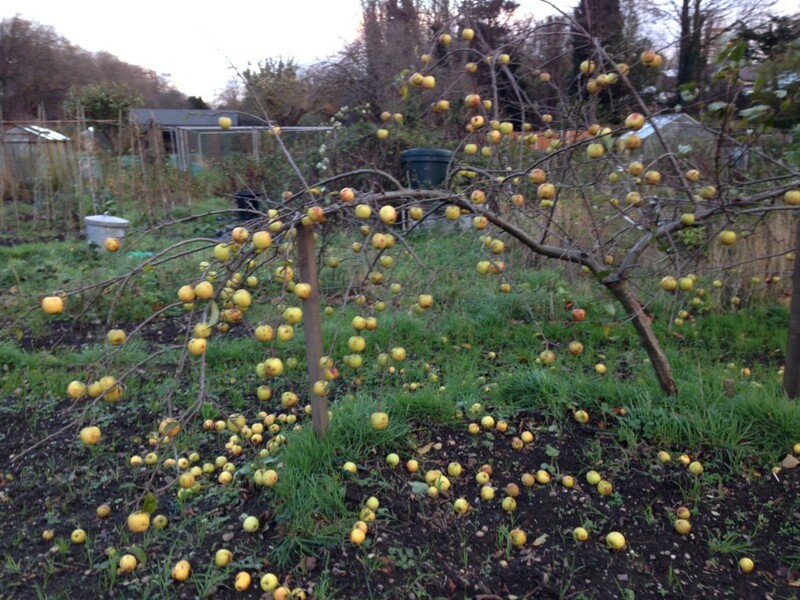 A neighbour’s apple tree has lost all its leaves but the golden fruit remain, bobbing in the breeze like baubles on a Christmas tree. 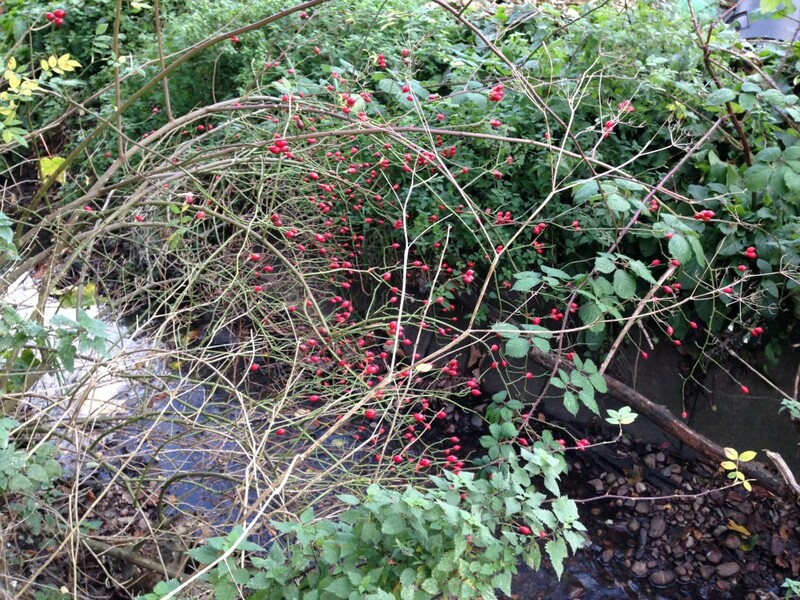 By the stream, a spray of rosehips are enticingly out of reach, gorgeous and plump. Will we ever get around to visiting Chappers to collect her horse manure? Will the bonfire have to wait until next year? Only time will tell. 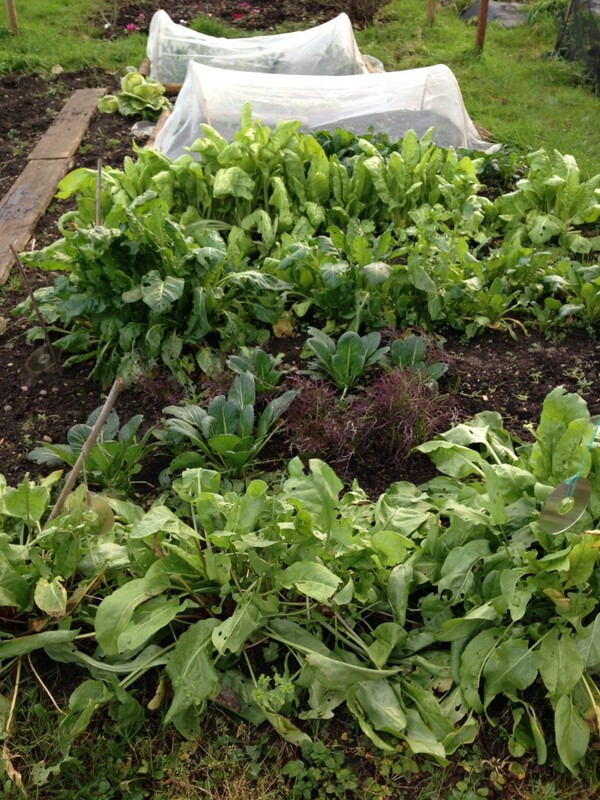 Harvesting: Winter lettuce, mustard spinach, chard, spinach, sorrel, chicory, leeks, carrots, parsnips, crysanths. 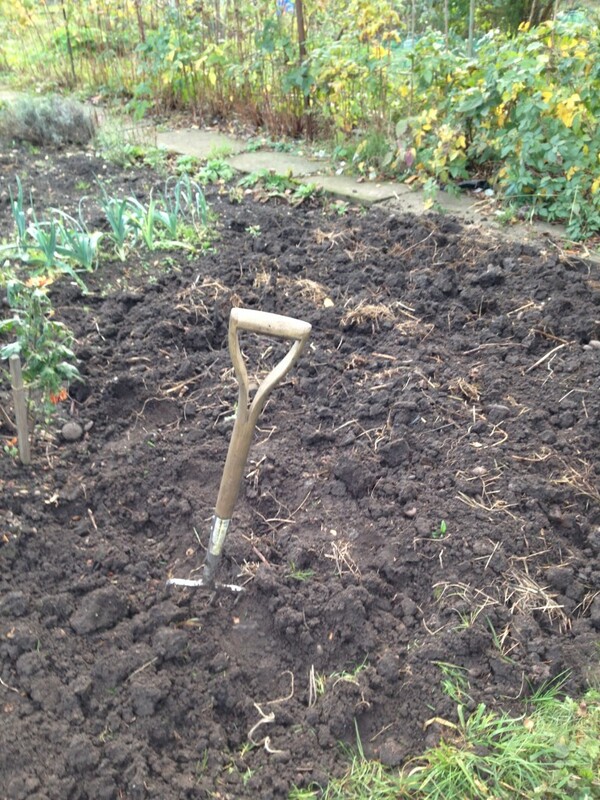 Also forked over old raspberry patch, weeded, took out bean and sweetpea canes. 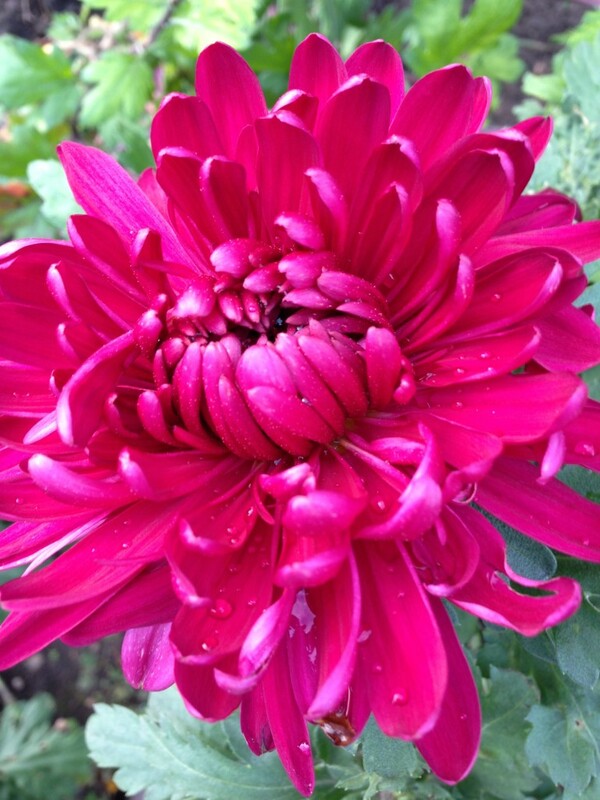 This entry was posted in Allotment, Autumn and tagged allotment, autumn. Bookmark the permalink.